Supported by iOBED® Technology, our system can be customized based on your body shape, weight, and sleep position, to help reduce sleep disorders and improve sleep conditions. 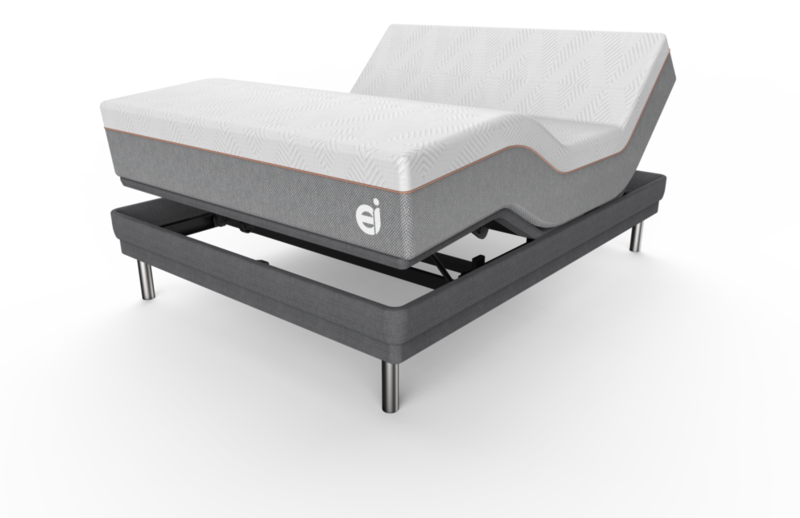 Our ei Sleep System provides the best sleep experience by adjusting automatically to fit the sleeper’s unique body shape, weight, sleep position and personal firmness preference. With scientific algorithms and management technology, iOBED® is the ultimate smart mattress. Our ei Sleep System combines a premium adjustable base with an advanced technology mattress by iOBED®. Body Sensing Technology™ conducts body shape profiling based on data input and real-time scanning to determine ideal body weight distribution and sleep posture. iOBED® technology allows the user five levels of manual mattress firmness control for personal preference. Even when sleep positions change, iOBED® technology automatically adjusts the mattress based on body shape profiling and reconfigures for the optimal sleep experience. Each mattress incorporates eighty individual air cells and eight independently controlled zones from head to toe. Because everyone has different sleep preferences, iOBED® has developed five settings of firmness to adjust to each individual’s sleeping needs. ergomotion® bases feature upper and lower body adjustability, under bed lighting, sonic massage, preset positions, and a Zero-G feature. Unlike any other system on the market, our adjustable bases relieve midsection compression that plagues other adjustable bases when the head of the base is elevated.